An experiential Guide to altered state of consciousness while preparing to give healing. As we gently take the attention within and start to connect to the universal love within our own heart. We start with a simple opening statement of our intent: To connect to the highest energy and enliven this vibration within our own heart. We ask that we become clear channels for this energy to flow through us and bring healing to the person we are working with. As we feel this connection opening up we feel a calmness coming over us. Within this calmness we feel the vibration or liveliness in the silence, start to become finer, yet more intense. As our vibration increases we feel a presence come around us, our aura becomes more defined. 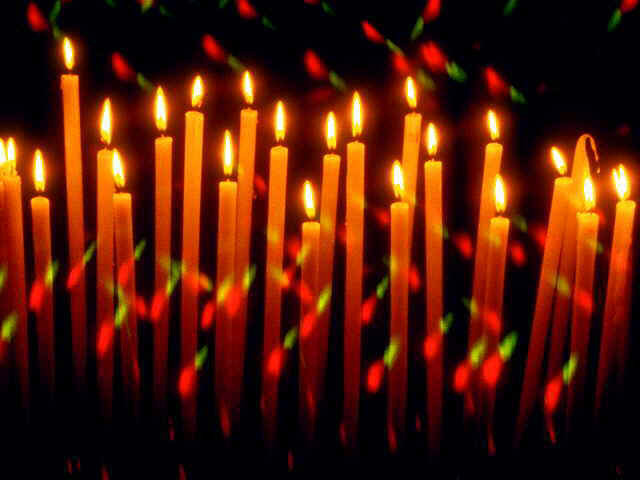 We feel our body become filled with light and become more fluid and less defined. We can then ask for our guides, our angels our healing helpers, and psychic surgeons to come and join. As we allow these assistants, to come near us and permeate through us, we feel the subtle changes in our energies. We may experience the feeling of cobwebs around us a deepening in the energies. We may feel the power of the presence around us increasing. We can feel our connection to the Earth beneath our feet, and awareness that we are one with the Earth. That our energy field is grounded and connected: We may feel a connection through the top of our head to all the stars and planets of the universe and feel at one with everything. We feel the energy centres in the body becoming more clearly defined as each Chakra starts to expand and be more enlivened. We feel our light body working on many levels. 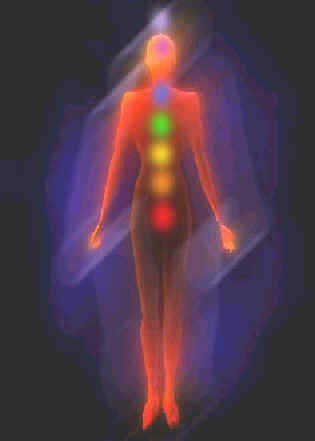 As the energy continues to increase our aura start to expand out to contain the higher levels of energy. Now that we have raised our vibration a little and moved into an altered state of consciousness we are ready to start healing. As you connect with the person, you are working with, allow your awareness to connect with the subtle changes in the energies. You may start to feel areas of discomfort in yourself. Just become aware of these, as they will guide you to where healing is required on the person. You feel the flow of love coming out of your hand into the person. Just follow your feelings and move your hands to where they are guided, always be aware of and prospecting the persons modesty as you work. You may notice the energy within yourself increase more while you are working. On occasions you may feel that you are floating just like a ball of light, or may feel the whole of your rib cage light up and start to glow. Enjoy the experience and know that love and fear cannot occupy the same space. If you are connected to your heart with pure intentions, only love can flow and fears will be dispelled and dissolves away in this love. As you start to come to the end of the healing lift your hands a little from the body and work in the aura for another minute or two. Just see the person’s energy in perfect balance as they where when they were young and life was flowing in peace and harmony for them. Visualise them in perfect health with joy and happiness on their face. Then slowly move your hands further away and release the connection to the person. Take a few minutes before slowly coming back to your normal state of consciousness. Take a further ten minutes before moving around too much. Perhaps during this time we can offer thanks to all our helpers for their assistance. Just slowly release the connection to the universe allow the Chakra’s to normalise and visualise any stale energy being grounded down into the earth, so your own energies are being left enlivened and clear. If you would like to listen to a guided meditation to help you to connect with your inner energy, please follow the link below and listen to: “Connecting to the Earth and the Universe” a Guided Meditation. Is to enliven and channel the subtle layers of energy received from the various parts of the universe and from within myself to the person, animal or planet being healed. Thus, I understand healing to be like a magnet put under a piece of paper covered with iron filings. When the energy field is strong the iron filings all jump into place and become orderly. When we give spiritual healing we strengthen and purify the natural spiritual field of energy. This sets the conditions for all the atoms, molecules and cells to jump into the right place and perform their rightful duty. When the spirit is strong there is an underlying energy field that holds all the parts of the body together. This energy field can extend to cover group consciousness and the consciousness of the whole world. This is the energy/spirit or the power of love, which guides every part of the body to perform its rightful duty. The way to enliven this energy is through meditation. Meditation enlivens these subtle levels of energy and strengthens the whole of life in a harmonious and effortless way. During mantra meditation, I feel that I am creating a self-referral aspect to my existence. Or put another way, I am becoming conscious of my own existence and therefore changing the intelligence or energy, which I am made up of, into a self-referred intelligence, which has the effect of making this intelligence, intelligent. Or put another way, I feel like a magnetic field or a gyroscope i.e. energy turning on itself, which creates its own stability or reference point from which to view the world. I look upon the mantra like a piece of magnet stroking another piece of metal. With each stroke of the magnet, the atoms or parts of the atoms start to line up in the metal and produce another magnet with positive at one end and negative at the other. In the same way the vibrational quality of the mantra has a similar effect on the energy fields in the body. It creates orderliness in the atoms and creates this field of energy, which expands my consciousness, and I can feel building up within my body. Some people may call this energy field, charisma or a magnetic personality. I just think of it as having a strong spirit or aligning myself with the universal spirit. What we are doing is taking randomly placed atoms in our body and making them orderly and lined up - a bit like the difference between a light bulb and a laser beam. The world needs to know its own nature. If this happens we will see a growing harmony and peace in the world. The junction point between different states of consciousness; i.e. waking and sleeping is a good time to notice this experience. As your mind and body start to settle down to rest. You become aware of the more subtle nature of the body, mind and aura. For me this experience is one of first scanning my body and my feelings and becoming aware of my deeper connection. If I become aware of any discomfort in the body, I take my attention into that region and consciously breathe, relaxing the physical body and clearing the mind of any associated thoughts. As you continue with this process, you may become aware of a third level of awareness; a field of energy that both surrounds and permeates the mind and the body. I say field, as it is a kind of electromagnetic field of energy, similar to magnetism. This field of energy is the aura, the energy field of the body, it has consciousness too and you may notice your awareness passing from the physical body to the non-physical aura as you settle down to sleep. Sometimes I experience this like clouds of white light washing over the body and passing through the body. As you take your awareness from your physical body and step over and become aware on your feelings as being within the clouds of white mist of the aura. You notice a freeing of your awareness an expansion and raising slightly of ones vibration. The human body is such a wonderful thing as we can experience it on many levels and see the connections into may different aspects or dimensions of its nature. As we become aware of this non-physical connection to our higher Self we may also become aware of its nature. We could invite in our guides and angels to come around us. We could take a few minutes just appreciating the work they do for us. We could start to ask them for guidance or plan what we would like to do or experience tomorrow. This is a magical time, as we start to drift off into sleep, and if you witness your sleep, you may even have the experience of your spiritual awareness going out of body and astral traveling through the Universe. This is all apart of your higher Self, the clouds of white light that you feel, is your spiritual connection into the non-physical world. This non-physical, although it is not localised like your body, is still as much apart of who you are as the physical nature of your body, in fact I would say is more your true nature. So next time you are going to sleep, just in an innocent way, stay a little more aware of your feelings and experiences and consciously enjoy being aware of the many aspects of who and what you are.